1,010 sq ft - MLS# 1605825 Courtesy of Milwaukee Realty, Inc.
Great opportunity to own at Landmark on the Lake in the vibrant Brady Street neighborhood! 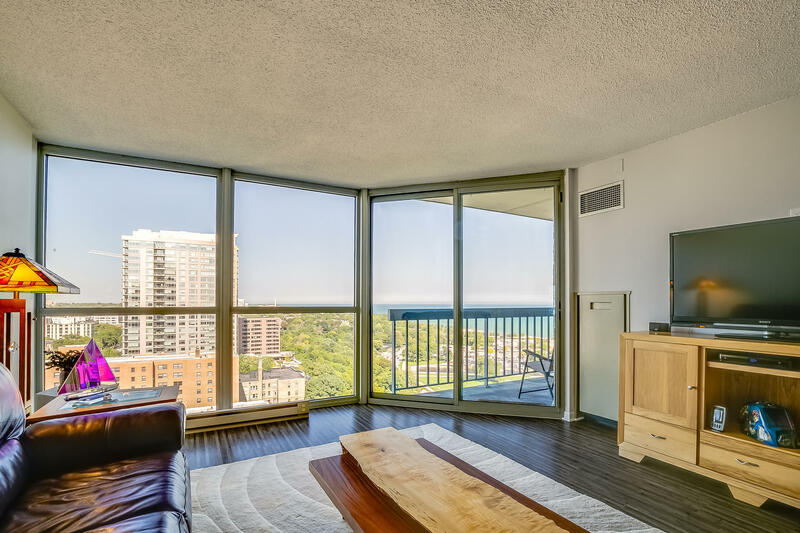 Stunning views of Lake Michigan and the marina from the 17th floor in this spacious 2 bedroom/2 bathroom condo! Upgrades include custom grey bamboo flooring, GE stainless appliances, granite counter tops in bathrooms & kitchen, complimented by an eat-in breakfast bar nook. 2 parking spaces & extra storage. Pet friendly association. Additional amenities include indoor pool, whirlpool, sundeck with seating & fireplaces, clubroom, fitness & yoga studio, dog run, 24 hr security & concierge.